Kenneth "Rock" Merritt was a 20-year-old corporal when he jumped into Normandy on D-Day. Merritt landed in a briar patch surrounded by nearly impenetrable hedgerows. 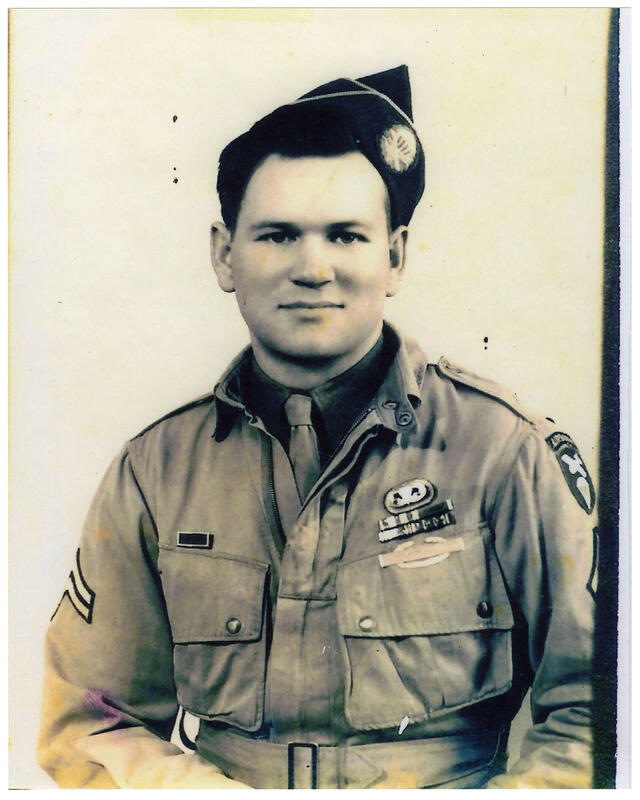 Loaded up with 100 pounds of ammunition and equipment, he began to search for his fellow paratroopers. For weeks, American soldiers fought to advance their position into France. On July 3, Merritt’s battalion was ordered to hold the base of Hill 131. Seven decades after the Allied invasion of Normandy, veteran "Rock" Merritt recalls the events of D-Day. In between bursts of gunfire, a loudspeaker blared propaganda meant to convince the troops to surrender. By two in the morning, Merritt had had enough. He decided he was going to take out the machine gun nest. Merritt was awarded the Silver Star for his actions that day. He went on to jump in Operation Market Garden and fight in the Battle of the Bulge. This year, he was inducted into the 82nd Airborne Division’s All American Hall of Fame. Ft. Bragg Stories is a collaboration between the Fayetteville Observer and WUNC's American Homefront Project to commemorate a century of history at Fort Bragg through personal narratives. You can hear other stories in the series here. If you'd like to share your Fort Bragg story, you can send it here, or email fortbraggstories@wunc.org. Debbie Crain and Laura Lauffer both grew up near Fort Bragg, both with fathers in the military. Crain's father fought in World War II, Lauffer's served in Vietnam. Like many who have seen combat, neither man talked much about their experiences. As adults, both women found themselves looking for answers about their fathers' military service.